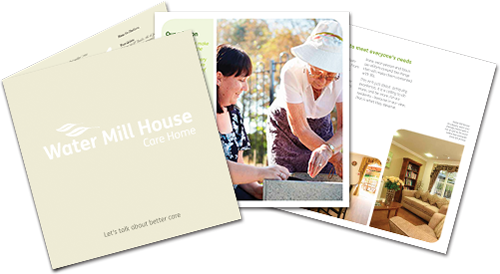 We are delighted to announce a new collaboration with Brooklands Care Home which we are very excited about. Residents consider eating one of the highlights of their day and we are excited to be working with their home’s chef to help them make the food they serve truly best in class. Great British Chefs is the leading food and drink website in the UK and we work with the top chefs from across the country to create inspiration recipes (https://www.greatbritishchefs.com/recipes). We are working with a range of our chefs to create a series of workshops that will be truly inspirational but also rooted in the needs of Brooklands’ guests’ needs. The first workshop was with Dominic Chapman (https://www.greatbritishchefs.com/chefs/dominic-chapman), the head chef of the Beehive (https://www.greatbritishchefs.com/restaurants/the-beehive), a multi-award-winning pub near Maidenhead. Dominic worked with Heston Blumenthal for four years, at the three-Michelin-starred Fat Duck and then worked at the iconic Kensington Place bistro under Rowley Leigh. In 2007, Chapman became head chef at The Royal Oak, earning Michael Parkinson’s pub and restaurant a Michelin star, three AA rosettes and a 6/10 rating in the Good Food Guide during a seven-year spell. The workshop he ran focused on the great British roast. Everyone in the UK loves a good roast, it’s what we are known for and it is one of the things that residents enjoy most. Brooklands Care Home produce a range of roasts for their residents including chicken, beef, pork and lamb. This workshop gave the chef the chance to be inspired to take Sunday roasts (https://www.greatbritishchefs.com/collections/sunday-roasts-recipes) to the next level. The workshop included a range of masterclasses from Dominic, including a particularly enjoyable one about how to create the perfect Yorkshire pudding (https://www.greatbritishchefs.com/collections/yorkshire-pudding-recipes). Dominic shared a range of tips focused around making the perfect batter, how to make the Yorkshire puddings rise and also how to give this classic recipe a twist. We also looked at a range of side dishes; from perfect roast potatoes (https://www.greatbritishchefs.com/recipes/roast-potato-recipe), how to make really delicious gravy (https://www.greatbritishchefs.com/how-to-cook/how-to-make-gravy) and also vegetable sides like broccoli and carrots (https://www.greatbritishchefs.com/ingredients/carrot-recipes). There was also a masterclass on making brines (https://www.greatbritishchefs.com/how-to-cook/how-to-make-a-brine), a great way to get flavour into dishes and a trick that most of the top chefs use. A number of workshops are due to be delivered over the coming months and we are excited to see new dishes appearing on Brooklands‘s menus in the coming months.